After two years without an update Amstrad PCW emulator JOYCE has returned to the land of the living. Version 2.2.7 contains code to guard against malicious CP/M programs overwriting or deleting important files on your host machine or crashing the app. 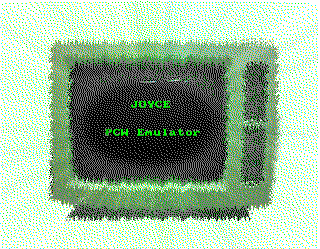 Head over to the official JOYCE webpage for more information and a download link. DOSBox frontend Dapplegrey has finally switched framework from Carbon to Cocoa for version 5.x (currently at 5.0.2). You can now add up to 1,000 games to your library, while other changes include a native toolbar appearance, adjustable window size, and support for Taewoong's DOSBox builds. See i use this for release notes, or head over to Classics for X for a download link. Atari 2600 VCS emulator Stella versions 4.1 and 4.2 have dropped since August. Notable changes/additions include an MDM (Menu Driven Megacart) bankswitch scheme, text input from non-US keyboard layouts, and plug-and-play controller support. Head over to the Stella news page for more details. Media centre-friendly Amiga emulator FS-UAE hasn't had a stable release in months, but it's getting a steady stream of development versions. The latest, 2.5.19dev, updates the core to match WinUAE 2900b19, adds CPU configuration options, fixes a bunch of problems, and more. Get it from the FS-UAE development downloads page, or grab 2.4.1 from the regular downloads page. No new release for Macintosh II A/UX emulator Shoebill, but developer Peter Rutenbar has put substantial work into a rewrite of the FPU that will be in 0.0.5 as soon as it's mostly working and properly tested. Follow the E-maculation forum thread, the Shoebill GitHub, or MacScene for updates. Multi-console emulator/emulation library OpenEmu has been updated to version 1.0.4. 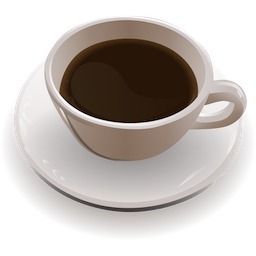 New additions include Atari 2600 support and German, Portuguese, and Spanish translations, while this release also fixes various bugs and updates the Sparkle framework for OS X 10.10 Yosemite. Get it from GitHub or the official OpenEmu website. Sticking with multi-console emulation for a moment, Mednafen version 0.9.36.5 was released this week, with a couple of fixes and support for automatic loading of redump.org SBI files when loading CUE sheets. No Mac build at the time of writing, but 0.9.36.4 is available for OS X.
x86 virtualisation tool VirtualBox has had not one but two maintenance releases since the last roundup. Changes include multiple full-screen mode fixes, no more forcing of the discrete GPU, experimental support for rendering on offline GPUs, and lots of other stuff. IA-32 (x86) PC emulator Bochs has been updated to version 2.6.7. From the looks of the changes, this is mostly a bugfix release. Get it from the project's SourceForge repository or via the official Bochs website. Machine emulator and virtualiser QEMU has been updated to version 2.1.2. Changes include semihosting support on LM32 systems, VFIO and decimal number instruction support on pSeries IBM PowerPC machines, and lots more. I can't tell what specifically is new in 2.1.2 compared to previous 2.1 releases. You can grab the source code from the QEMU download page. BlueMSX-based MSX emulator CocoaMSX has been updated to version 1.42. This fixes a crash bug in OS X 10.6.x and removes the requirement for hardware OpenGL support. Version 1.41, released in early September, fixed two minor bugs. See the CocoaMSX releases page on GitHub for details and download links, or follow the emulator's Google+ community for news.